@woodlands said: I've just noticed that Shrewsbury is spelt incorrectly. Ops! As you are half way in already hope its ok for me to be a late entry, Im in agreement with @railwaysteve id go 3-3 for today. @Malone I dont agree with the competition myself, however as i do a match thread every week i didn't think it was fair on those who want to discuss the game not getting a thread because i disagree with it myself. Happy birthday micra hope you have a great day. ah sorry, @LX1 my brain is clearly not engaged tonight. i'm inclined to agree with @Wendoverman seems very richie-esk. Very happy with that great news. Im going for the sellout. @Shev a bit like yourself for me i think it was the context around the goal i went for, which was Tyson's. The atmosphere with the two late goals at AP was fantastic. Get in, could be vital with county winning. Scott Brown on 4 yellow's must be close to some kind of record for a Wycombe keeper. 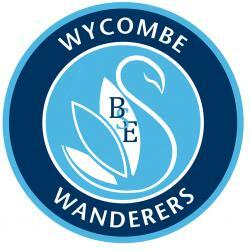 Anyone know what the record number of yellows picked up by a Wycombe keeper in one season ? @Jonny_King @aloysius , I'm glad some people got what i was driving at. I was worried i was being unintelligible. @LordMandeville Brown, Gape, Jacobson, Scarr, De Havilland, O’Nien, Saunders, Bloomfield (c), Freeman, Akinfenwa, Mackail-Smith. Subs: Ma-Kalambay, Bean, Eze, Southwell, Williams, Tyson. @ValleyWanderer purely a guess as i didn't get a great view of it myself, but i think the ref was suggesting the CMS card was for infringement / pushing the keeper into the net.